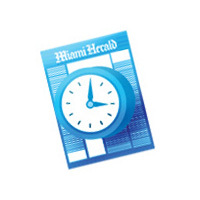 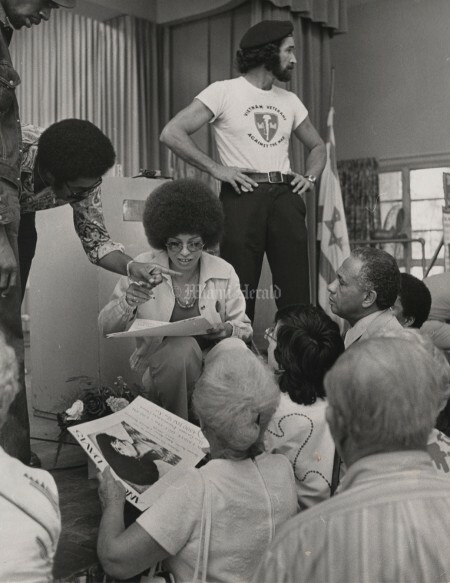 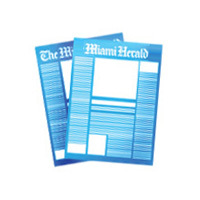 In 1973, Angela Davis, who had recently been acquitted of murder charges stemming from a Marin County Courthouse shootout in 1970, came to speak at the Jewish Cultural Center in Miami Beach and the New Covenant Presbyterian Church. She came to speak about racism and political repression and more importantly to organize a local chapter of the National Allegiance Against Racist and Political Repression. 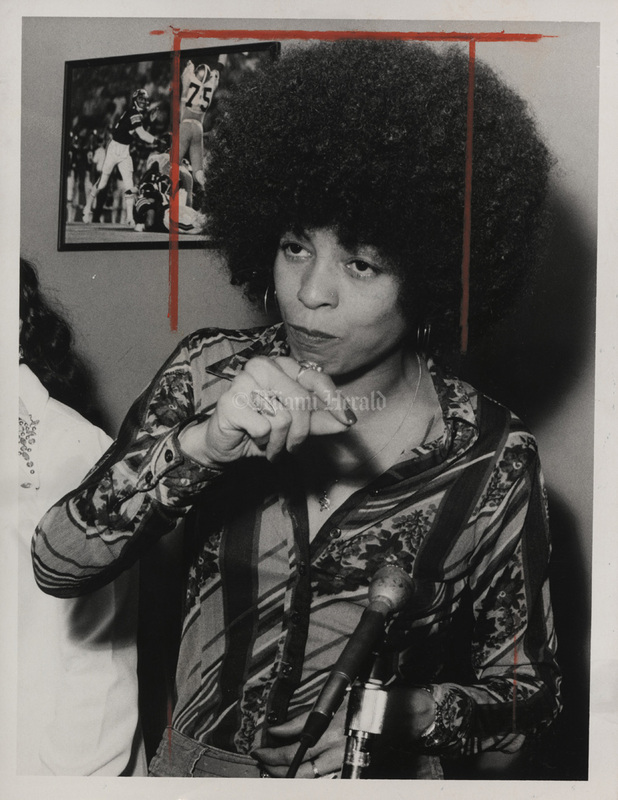 She came back to Miami three years later in 1976, to talk to some 500 people as part of the University of Miami’s Black History Week. 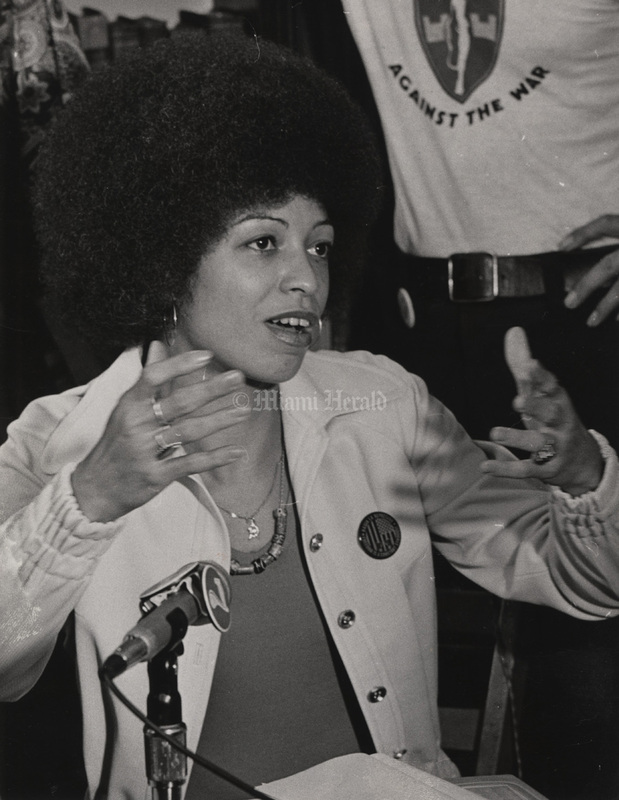 In the speech, she called for a special kind of Bicentennial celebration aimed at eliminating injustice in America and focusing attention on the criminal justice system that she said favor the wealthy and politically powerful. 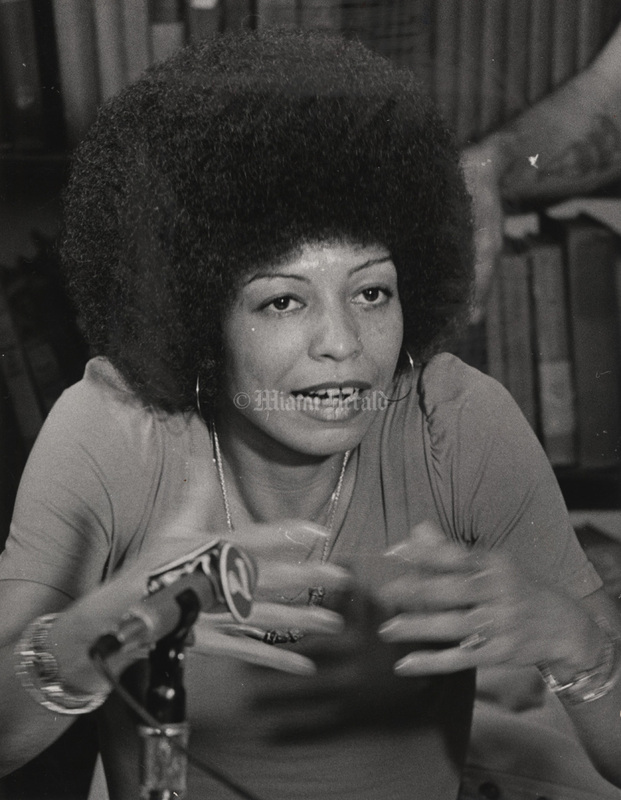 She shared the stage with Freddie Pitts and Wilbert Lee, who had just been pardoned from murder charges and released from Florida State Prison. A small bomb exploded right before her speech, no one was injured, but the police determined that the explosion was a scare tactic against Davis. 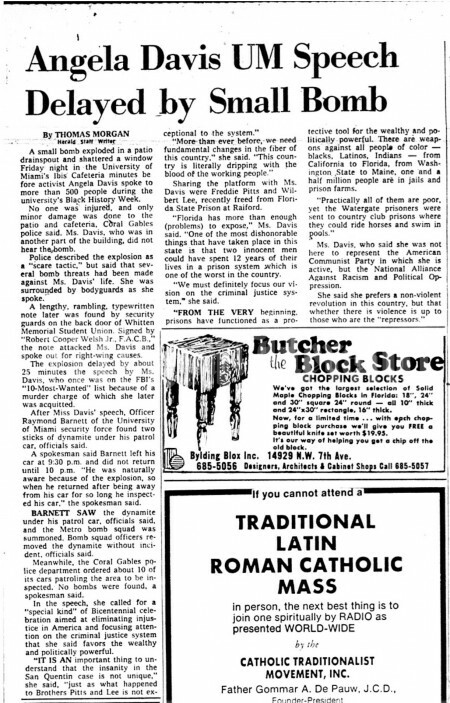 After Ms. Davis’ speech, a UM security officer found two sticks of dynamite under his patrol car. 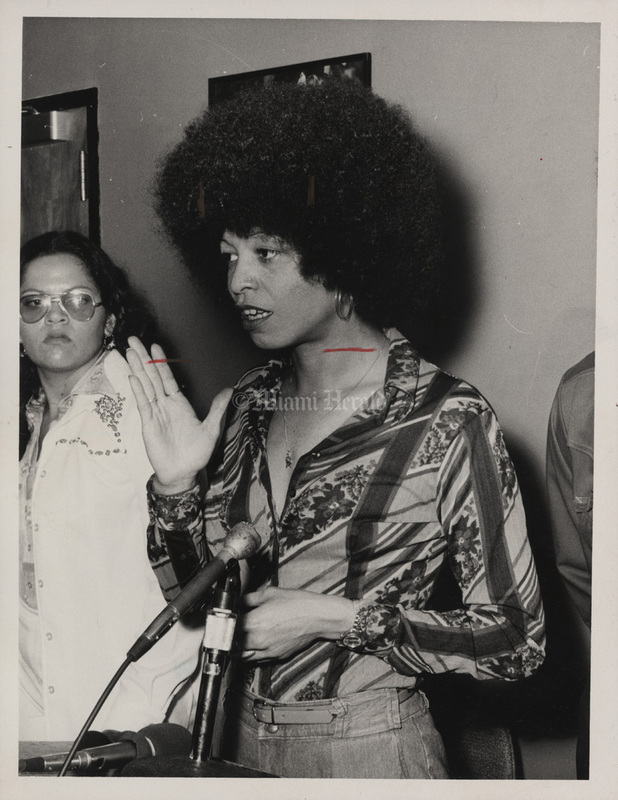 10/19/1973, Bob East/Miami Herald: Angela Davis. 10/19/1973, Bob East/Miami Herald: Angela Davis signs autograph on poster in Miami Beach. 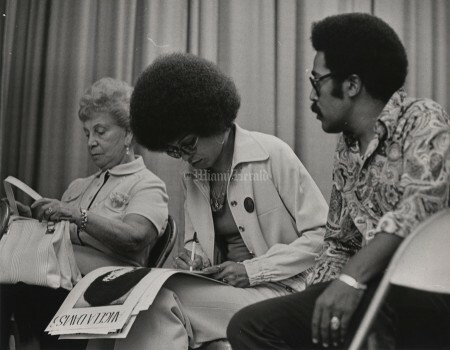 10/19/1973, Bob East/Miami Herald: After speech to old folks on South Beach, Angela Davis signs autographs on her posters under watchful eye of fellow activists and body guards. 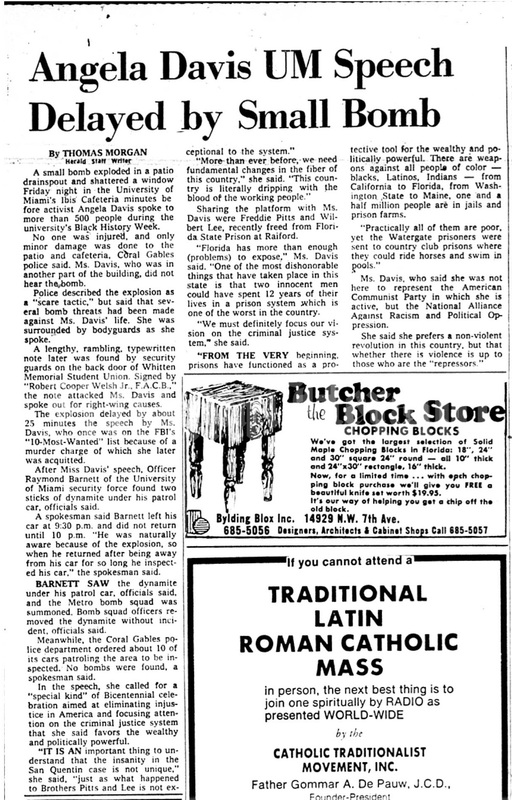 4/3/1976, Richard W. Johnson/Miami Herald: Angela Davis at the University of Miami.